Athletic upper of stretch silk nuvola and polyester mesh offers flexibility and breathability and slips on and off easily. 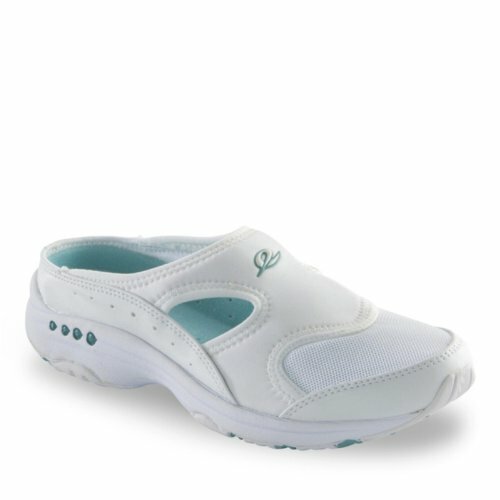 Fitness Air System allows air to circulate within the shoe, keeping you cool and comfortable. Lightweight, flexible construction makes this shoe ideal for light athletic activities. Material Content: stretch silk nuvola and polyester mesh upper, polyester upper lining, nonwoven polyester sockliner, molded Elon insole, EVA midsole, rubber outsole.